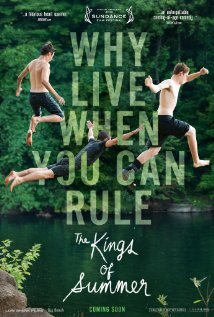 “The Kings of Summer” follows three teenage boys, who are fed up with adolescence and their parents. They decide to run away from home and try to make it on their own by building a house in the woods and living off the land. 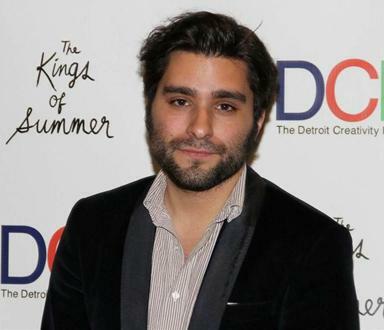 “The Kings of Summer” director, Jordan Vogt-Roberts. Q: What was your favorite element of “The Kings of Summer” script and storyline? A: I fell in love with the script when I first read it. I almost couldn’t believe that a director wasn’t attached to it. I just loved writer Chris Galletta’s voice and the world that he sort of set up. I loved it so much specifically because I knew how much further I could push it. He created such amazing groundwork and I just knew that it was going to be a great base for what I wanted to do with my first feature — which was to make it feel cinematic and beautiful and hilarious, but also heartbreaking, and just arrive that spectrum. He created a world that felt very much like a clash of old meets new. And both of us are products of old Amblin movies, like “Goonies,” and things like “Stand By Me” and John Hughes. Both of us had a desire to make sort of a throwback to why we fell in love with those movies. Q: Did you think that the cast fit their role? They seemed to have good chemistry, what was it like working with them? A: I’m very fortunate to have had an incredible cast. At a certain point they just took over the roles. I cast actors, who ideally, would understand a character better than I do. At a certain point I like to give my actors a lot of freedom and a lot of responsibility. It really is about collaboration on the set, of really finding what works and finding what makes them tick. With the kids, it was super important to find the right chemistry and create an environment on set that could find those pure, raw and earnest moments. So much of (this movie) is about that rawness of being 14, 15. Q: I read that improv was incorporated into the film. Is that true? A: Chris gave us an incredible script, with great jokes and great characters. I use improv as a tool to just push that even further — to find if there’s another joke or another bit, or if we can take it someplace else, great. But the bigger thing, there’s a lot of improv in small moments in the movie. In the sense that I sent the kids through improv training not so they’d be really funny and quick and witty, but instead so they’d be comfortable enough in their own skin, that I could sort of tap into the rawness of their teenage brains, and really get that emotional core. Q: Why did you start the movie later into the story, with the pipe scene in the woods? A: Because the movie is sort of a big switch and circle. The movie starts and ends as a very different movie, and ideally, it takes you on a journey. You start and end in a very different place. It sort of goes from what is this teen comedy into this somewhat emotional journey that ends up being very funny still. It was important to me to communicate to the audience that something more was coming — there was something raw and greater. “The Kings of Summer,” will be at the Main Art Theater in Royal Oak on June 7. Q: Filming consisted of a variety of wide angle shots and close-ups, with extreme nature close-ups fading in to scenes with the boys. What was the reason for setting it up that way? A: I was just interested in trying to combine very lyrical, theorial elements that people associate with a Terrance Malick movie, with a comedy, and to see if those two things could be fused together. I had never seen that before and thought that would be really cool for a movie like this because it would serve to illicit the sense of wonder that the boys were feeling when they were in the woods. They needed to feel magic, they needed to feel pure. And also I’m a firm believer that comedy should be cinematic, it should be able to be beautiful and to have scope. Most people shoot comedy in a really boring way. You know, when you watch an old Amblin movie, or you watch “Stand By Me,” those feel like films. Instead of characters in a story, it’s a technically well-made thing. I think we’ve just gotten so far away from that and so I’m going to bring that back. Q: The soundtrack is a combination of old and newer music, what was the reason for combining the two? A: The whole movie is a mashup of old and new influences ideally coming together to create something that feels relatively timeless but very current. I didn’t want to make a movie that was so current that in two years it’s like, ‘Wow, that was a 2013 movie.’ And I didn’t want it to just be a throwback, because at that point you’re not bringing anything new to the equation. So the whole thing very much is how do you combine Amblin movies with John Hughes, and some Terrance Malick, and really contemporary old comedy. So it made sense that the score should reflect that as well — it should be a mashup. Q: You’re from Detroit. Why did you choose to shoot in Ohio? A: Taxes. I love the idea of shooting in the Midwest, and unfortunately the tax situation here was sort of influx when we were shooting. Also, one of our producers is from Ohio and there’s just no way he would have let us shoot in the Midwest, but not in Ohio. Q: How did you come up with the concept for the house? A: The house was a tough one because Chris’s script didn’t really give me a lot to work with. There was a slide and an air hockey table and a loft, and that was about it. And so really it needed to be designed and built completely from scratch. So two people actually from Michigan, an illustrator and dear friend of mine, John Wilcox, and my cousin Eric Lachowski, who’s an architect, I went to both of them. I went to the architect and asked, “How would you build this out of hammers and nails only, like those are the only tools you have, and a saw? And $300 worth of found objects, and stuff from Home Depot, and how would a bunch of 15-year-old kids screw that up?” Because it needed to feel iconic, without being movie magic. So John Wilcox and I worked really hard to create something out of these found materials and had elements like the port-a-potty door, and these things that never felt super whimsical and overly art directed, but just kind of felt like if you and your friends really put in all the effort — didn’t skimp, didn’t goof off, if you guys made the best version of what you set out to do, it would look like that. So riding that line between iconic, yet practical — without crossing into movie magic. Q: Was running away something you thought about doing when you were young? A: I think every kid thinks about running away. If anything, I remember thinking about it and sort of realizing to myself, I can’t do this. I’m not capable of this. So much of the movie is about this sort of gap in generations, where the kids in “Stand by Me” or “Goonies” — they could go on adventures. My generation — I think we’re just a bunch of wusses, and I just don’t think we’re as capable of that. There are actually really weird thematic similarities between my life and the storyline during my senior year of high school. I grew up here and then I got moved to Arizona. In my senior year of high school, I came back here and lived in my grandma’s attic, by myself. In a weird way that’s pretty similar to running away and having your own house. Q: There’s a lot of symbolism in the movie. What was monopoly symbolic of? A: Monopoly is more a device to allow the themarian of Joe and his father. Obviously that’s about control and a lot of other things, but it more allows us to see Joe and his father taking very similar paths without realizing. You rebel against what you don’t want to become, and then you become that without realizing. So Chris put monopoly in the script, and I think there’s a lot of symbolism that you could read into it, especially with the pieces. If you want to pay attention to the board, I chose very specific pieces that everyone is playing. You don’t really see much but that’s there for a reason. It really is just another device to showcase parallels between characters. Q: What was your favorite part of the movie? A: My favorite stuff is the sort of improvised stuff — the stuff that’s just boys being boys. Stuff that’s just raw and earnest, that could have never been scripted — the scene of them banging on the pipe was a completely improvised thing. I love all the genre stuff. I love watching people react to the jokes, but I also love watching people react to the snake and things like that. Really seeing them get invested in something beyond the comedy, or to just sort of feel the audience sort of going with the characters — that’s what I love, that’s what’s exciting. Q: How does this film compare with other works you’ve done in the past? A: I’ve done some shorts and I have a TV show that I created on Comedy Central. Filmmaking is filmmaking. The process and technical elements of it don’t change much show to show. But to me, there are a lot of similar elements in terms of tone, the way I like to play with tone, the way I play with characters, the way I like to push things visually. But overall, me and my director of photography had a really big powwow before we shot this, and we kind of said to ourselves, wow, every single element of this movie needs to be better than every single element of everything else that we’ve ever done. We’re making a feature now — let’s not take that light away. We all got into this because we wanted to make features — we wanted to make movies that would be responded to. So there are definitely similarities, but it really was about almost stepping the game up instead. Q: What do you want people to take away from the movie? A: On one hand I hope that people walking into the theater thinking, ‘damn being 14 was the best,’ and immediately follow that with ‘thank God I’m done with that, because that was the most painful, awkward time of my life, but that’s what made me who I am.’ I also hope that it illicits a real sense of nostalgia in them and reminds them that it’s worth seeing a movie in the theater, and that comedy can be beautiful and heart-breaking and hilarious all at once. Comedy can be visual. So there are a lot of things, but first and foremost I just hope that they are glad they saw it. I think it’s really difficult to get people into theaters these days, and I think the power of our medium is definitely theater experiences. So I just hope that they walk out inspired to see more movies in the theater.